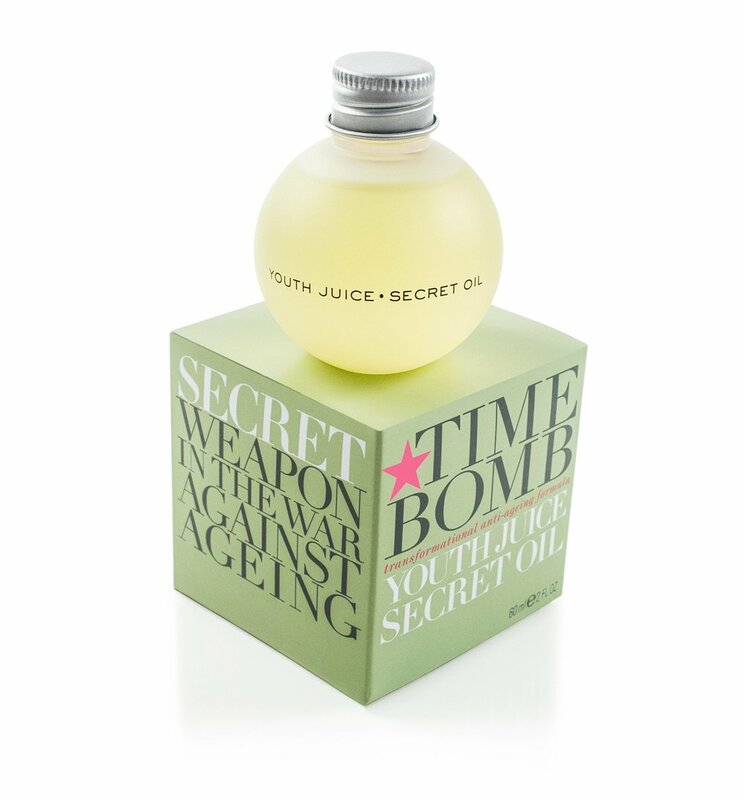 TIME BOMB YOUTH JUICE SECRET OIL, $90. Yipee an oil! Oils are my skin's best friend! As we age oil production slows, so I need to replace it with natural oils. A bonus is this little bottle is super cute and smells of goodness. Morning and night on a clean face, neck and décolletage area (a little excessive I know). I love that it feels like a hydrating drink for my often thirsty skin. I’ve found that a lot of people are nervous about using oils but this oil absorbs so quickly, is non-greasy and leaves my skin looking dewy and fresh. Unlike moisturisers (that contain mainly water) this olive, avocado, jojoba and kukui (which is produced by pressing oil from the kukui nut containing essential fatty acids, lots of vitamins and antioxidants. It's amazing for dry skin and even for healing wounds). Overall an absolute keeper in my bathroom. Feels luxurious, absorbs within seconds and leaves my skin feeling nourished and looking smooth. I press this oil onto clean skin at night, and often over my makeup during the day, before reapplying foundation. It's perfect for giving my skin a hydrating boost, which is ideal right now with the onset of the cooler weather. The combination of oils (olive, avocado, jojoba and kukui to name a few) which are bursting with vitamins E and C. It is not greasy, but super hydrating. But most of all love the dewy look it leaves on my skin. If this oil leaves me looking like Lulu at her age, then I am keen to start use it. It wasn't too greasy and smell delicious. I pressed it onto cleansed skin morning and night. It absorbed into my skin very quickly, which i liked. I haven't used oils in the past, because I am not keen on that very oily residue they often leave on skin. However this oil is so sheer and light it made my skin look smooth and feel nourished within seconds, without leaving that shiny residue. I really enjoy using this gorgeous product at the end of my busy day.